Today the Terrell Tigers finished play in the 2010 Waxahachie baseball tournament losing to Cedar Hill 7-0. They were hoping for a better showing than 1-4, but they gained game experience. The Tigers record for the season is 2-6. 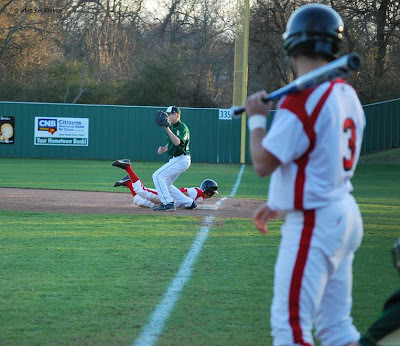 Check Terrell Daily Photo Facebook page for more photos of the game against Birdville. Pictures of today's game against Cedar Hill will be up tomorrow.